« Is It The Law of Attraction? Or Just Wishful Thinking? Credit Card, Debit Card or Cash? Dave Ramsey says, “Responsible use of a credit card does not exist.” Mike at Living the Cheap Life disagrees and articulated his reasons. Back when we were debt-free (except for our mortgage) I used my credit cards wisely. I bought items in our budget that we had to buy anyway, and I got rewarded for those purchases. I admit it wasn’t the best “reward” available – I received a $25 Amazon Gift Certificate for every $2500 that was charged onto the card. But since we were debt free, and living within our budget, it gave me a chance to buy a couple of books I’d been wanting every few months. It worked out pretty good. It gave me some stress relief at times, because I could relax knowing my credit limit was significantly higher than the amount of money we’d ever spend in a month’s time. I had almost every bill automated, and I could just relax, knowing there was no chance we would overdraft our checking account. But I also noticed the tendency to not keep track so closely of how much money we were spending. When I was younger, I would put all the money in my checking account for bills, and I’d keep out some cash to spend. Not much, but I got it in my head that if I had cash on hand, it was available for spending on anything I wanted. I’ve never been one to spend a lot of money on myself, so it was mostly for little things here and there. I notice that I have issues with plastic and with cash. If I use plastic – credit OR debit – I tend to have a complacent attitude about how much money is being spent. If I have cash on hand, I think it’s okay to spend it all however I want. If I’m in a position where I need to use my credit card, I tend to be less frugal with spending. Last week Mr. A bought a tool for a sideline business and the company he purchased it from does not take credit cards. The tool retails for well over $3000 and he was able to buy it used for $1450. We felt it was worth the investment. But now we are in a position where we are running short on funds for our household income. I could take a cash advance from the credit card but the interest rate is significantly higher, plus the interest fees begin the day I take the cash advance. So I am going to have to use the credit card to make some payments that I normally wouldn’t, to transfer the money. I am pretty sure I can make the mortgage payment, and I believe I can pay my auto insurance (due next month) using the credit card. Mr. A recently billed one client for $220 and we are expecting that payment any day, and he needs to bill another client for about $1000. Now the trick will be to use the credit card only to a certain amount to make up the deficit we are experiencing, and not get carried away. It is a delicate balance, these things. Investing in this business is, in my opinion, responsible use of a credit card. Once again, I’m glad that we have credit cards. With today’s money, I am retiring from my current job. I’m going to pay myself my current salary of $36,000 for the next two years. During that time I’m going to continue the work I’m doing as Mr. A’s bookkeeper, plus I can focus more on “selling” his business. I am also hiring myself an assistant. I will pay her $1000 a month to work for me 2 days each week for two years. She can even have a young infant or a couple of toddlers along. She’s going to help me with anything I ask her to, and her primary function will be to help me launch my new business that I’ve always wanted to do. 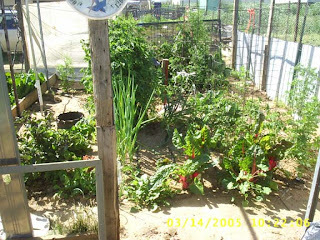 We’re going to expand my current garden area and I’m going to grow vegetables to sell at local farmer’s markets. 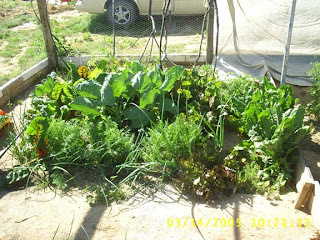 I’m going to grow Swiss Chard, spinach, radishes, lettuce and other vegetables. I’m also going to grow herbs. I’m going to focus on product that grows fast and is prolific. My last focus will be to grow as many purple vegetables as I can. 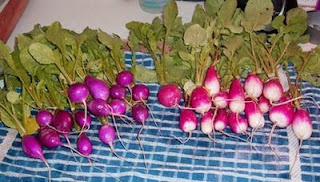 There are purple radishes, purple cauliflower, purple green beans, purple carrots, purple potatoes and more! We’ll also make goat milk soap and goat milk fudge using our goat’s milk. The goat manure is excellent for gardening. 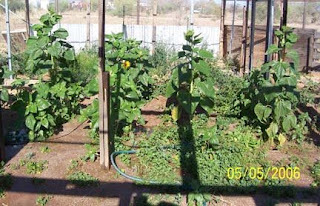 The remaining $6400 will be used to buy a used tractor, and to reinforce the garden area. I will also hire a team of people to dig up the current beds and lay chicken wire at the bottom to keep the gophers out. 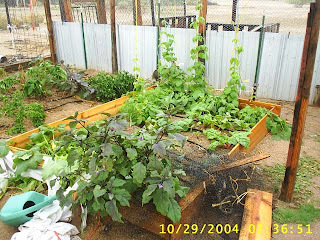 The current garden is fenced top and sides with chicken wire, which keeps most of the birds out, and the ground chipmunks and the ground squirrels, but the gophers just dug their way right under and started eating everything from the root up. Gratitude: I’m grateful that I am for the most part a healthy individual. I’m grateful that I am able to walk around on my own two feet. This is a 30 Day Abundance Exercise that Millionaire Mommy started. If you would like to join in, just start today. There are only a couple of rules. You can’t buy duplicate items, and you double the money every day, starting with $100 on the first day. Discover Card Raised My Rates - Four Months Ago! Balance Statement Credits - Are They Worth It?